Here is a wonderful post from my husband on Advent. And here is a whole series of readings for the Advent Season composed by various ministers in the CREC and compiled by our friend Randy Booth. And here is a picture of the Christmas jammies I’ll be handing out a little later this evening to fifteen grandchildren! 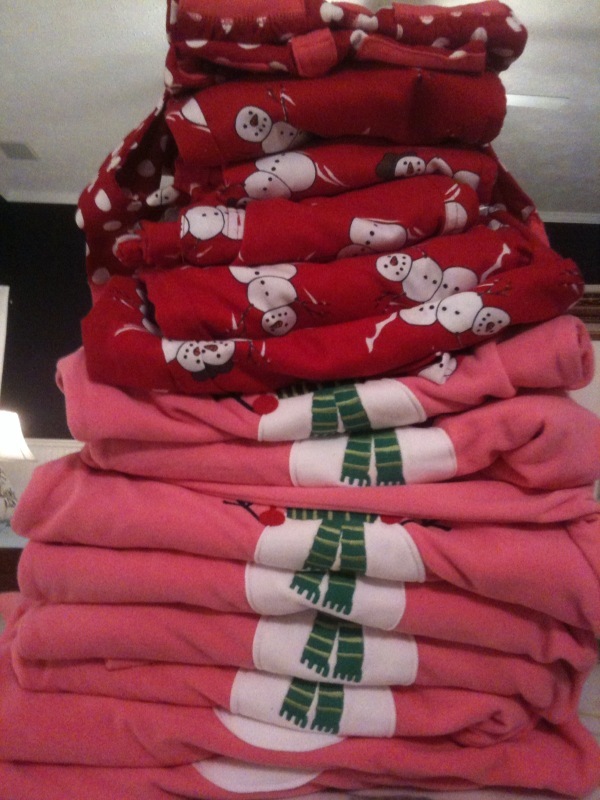 Babies on top, next the five boys, and finally the stack of ten girls’ jammies! The jammies look cute and comfy. We’re doing a fun little toy for the first Sunday and jammies for the second. Love the stack of jammies! How fun! I’m sure that the cousins love it all! How fun! Here you refer to the very advent readings that are printing out just now. And those PJ’s! Beautiful! Wonderful Christmas jammy tradition, Nana! I’d like to steal that idea someday.